Last December, Nokia released the Nokia 8.1 mobile phone in India, but at that time it was only equipped with 4 + 64GB of storage, and is the only option, priced at 26,999 Indian rupee. 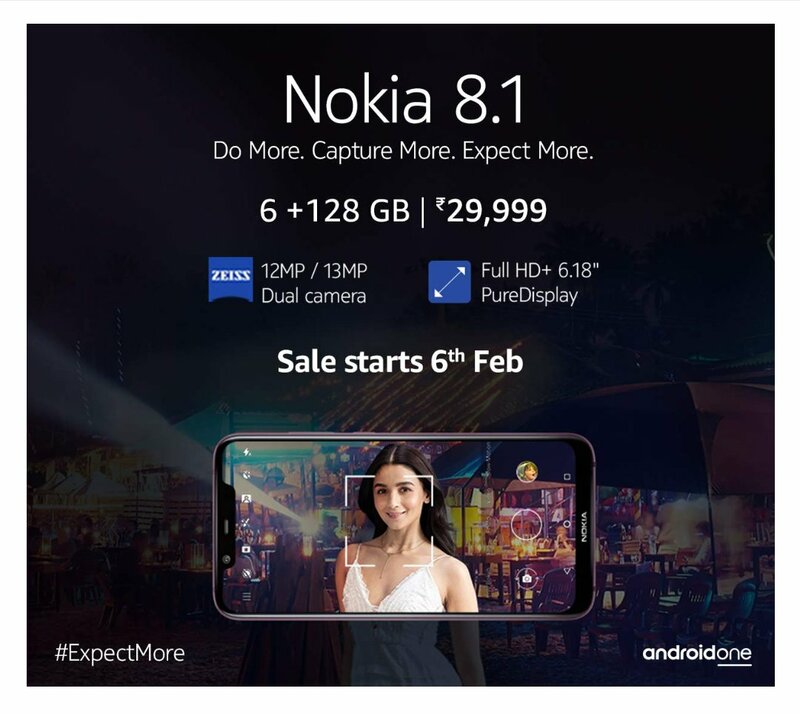 On February 1st, local time, Nokia finally launched a high-end version of the Nokia 8.1 mobile phone (6+128GB) in India. The delivery time starts on February 6. The price of 29,999 rupees will be exclusively sold through Amazon.